Disposing of old, rusty barbed wire can be a problem. If you have an old farm with weathered fences and decades-old wire, it’s something that must be figured out. 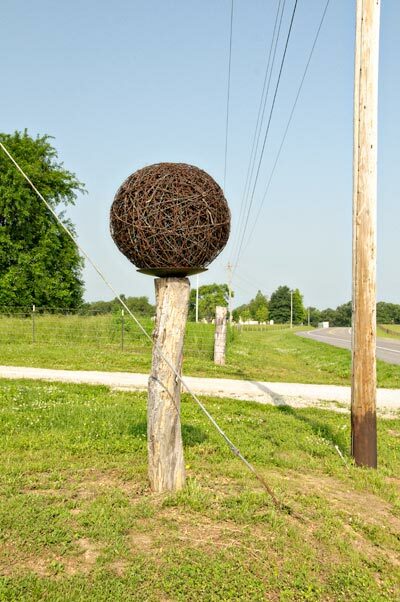 Yard art wouldn’t have been my first thought, but who am I to criticize someone who had the patience and fortitude to create this big ball of wire on a post. 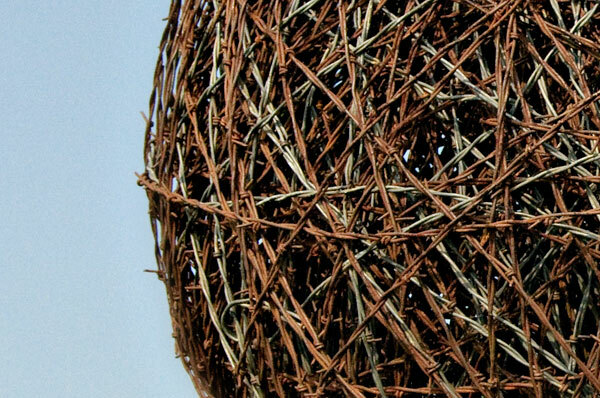 The ball of barbed wire is close to perfectly round with layer after layer of tightly wound wire and a lot of still sharp points. It proudly rests atop a rusted pedestal on a weathered fencepost, which is an appropriate display, don’t you think? I know for a fact that I’m not the first passerby to do a double-take, then backtrack to take a photo. But is it art? 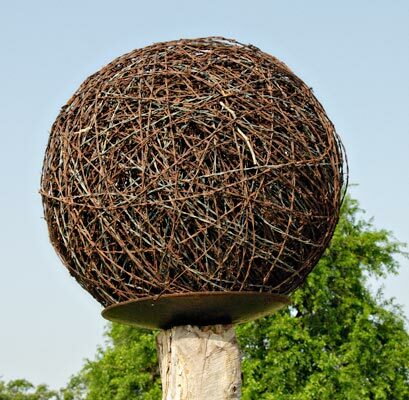 Does it qualify as rustic folk art or is it just a ball of rust? You tell me. This certainly is art and it looks like much thought and work went into it. It’s beautiful. I would call it “RETIRED WIRE”, were it mine. On the lighter side, it could also serve as a seat for unwelcome visitors. I hope the sculptor wore a good pair of gloves (ouch).